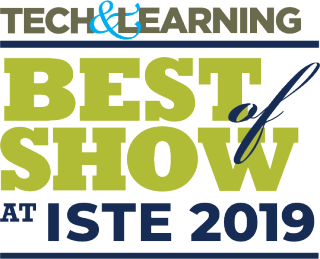 Tech & Learning Opens ISTE 2019 Best of Show Awards Tech & Learning's ISTE 2019 Best of Show Awards celebrates those products and services being exhibited at ISTE that show the greatest promise according to the country's most tech-savvy educators. Kahoot! Introduces Smart Practice for Challenge Feature With the new smart practice feature, students can revisit difficult questions, remember content better, and collect emotes as a reward. LEGO® Education and FIRST® Introduce New Architecture-Themed LEGO sets The new sets for the 2019-2020 FIRST LEGO League season are based on the theme of architecture and are titled BOOMTOWN BUILD℠” and CITY SHAPER℠. “Their bold accomplishments encompass the overarching mission of Envision 2030 — to better prepare children to succeed in careers of the future,” said Keith Krueger, CEO of CoSN.